Evergreen tree. Best if protected from frost. 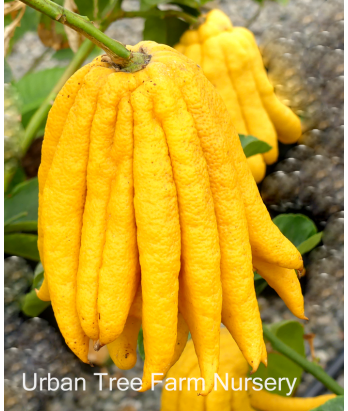 Unusual, hand-shaped 6-12inch fruits with prized highly fragrant aroma. Popular ornamental or bonsai. All citrus are heavy feeders. Regular water needs in well-drained soil once established.